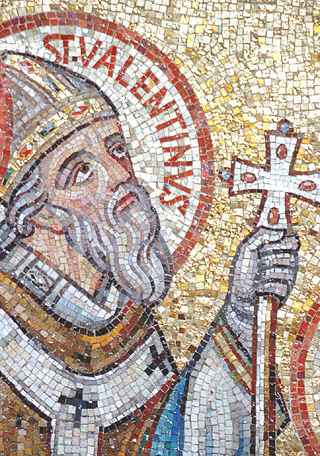 There are discussions as to whether or not there was a “real” St. Valentine, and if so, who he really was and how he became the symbol of love. Like concerns about the validity of St. Nick, or Santa Claus, I find the discussion irrelevant. The “realness” of these characters is not important. What is irrefutable is the FACT that these two saints, be they real, embellished or imagined, have brought very real love and caring into our midst. At no time is gift giving more prevalent in our predominantly secular and me-centered world than at Christmas. Why? Because we all believe in the importance of Santa Claus. We do his work on his behalf. Similarly, there is no better love than the love we share with others. 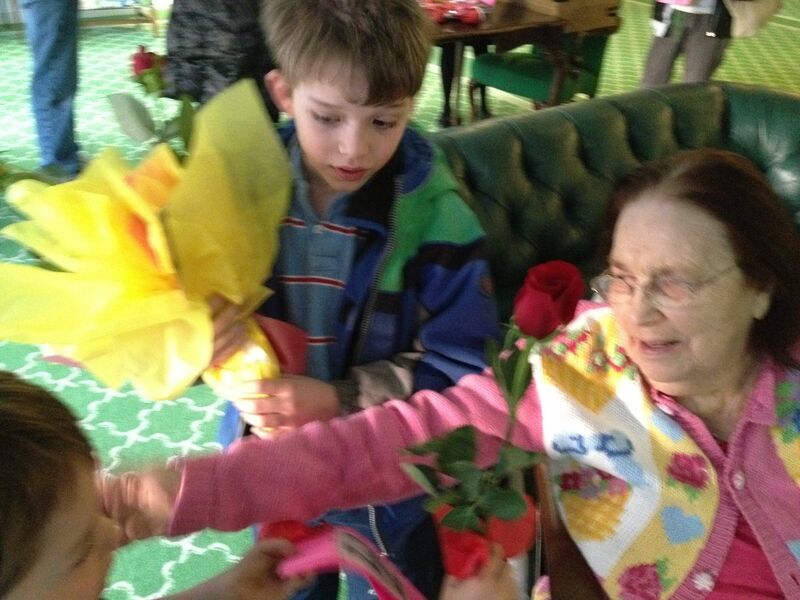 A few days ago on St. Valentine’s Day, our Happymess Kids and their Destination Imagination team visited a local nursing home to distribute roses and homemade cards. AT first our group was uncomfortable with the whole idea. They weren’t sure what they would find at the nursing home and they were afraid it would be embarrassing speaking to strangers. “Can’t we let someone else (from our church) distribute the flowers?” they whined. And (believe it or not! ), “But we have SO much homework…”, trying to appeal to me, the rabid homeschool mother. I firmly directed them into the car and off we went. One of the first women we met was Emily. 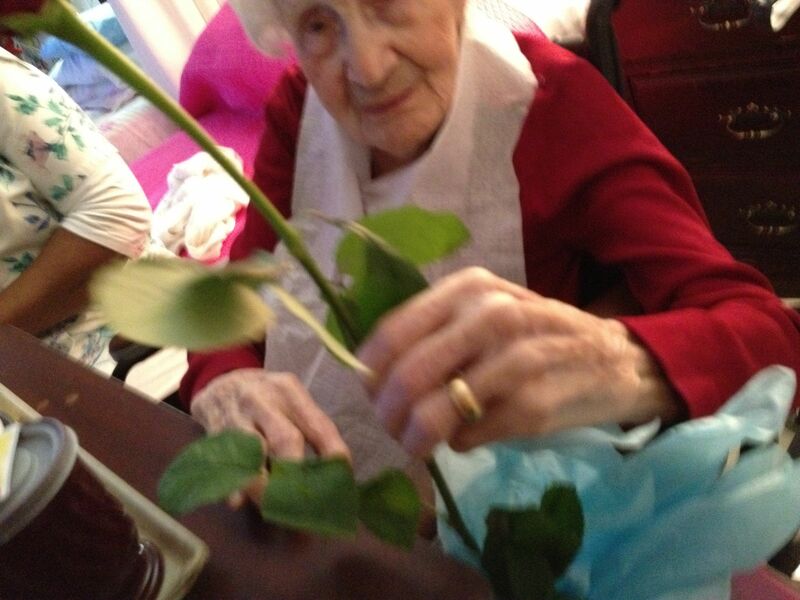 She is 107 years old. 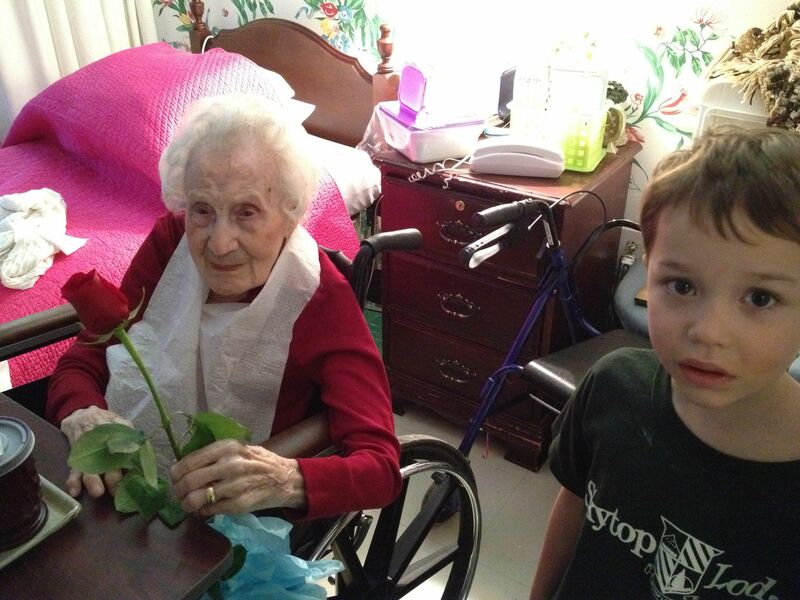 She was truly delighted to have her rose. Scooter was afraid to get too close but he loved giving roses. We stayed awhile and talked to Emily. The children quickly realized that the flower was not the real gift. The real gift was the visit and we made sure to stay and talk with each person. In the end, after spending almost two hours at the nursing home we found that we had visited with many people and we gathered to share our stories. One woman asked us to put her flowers in a vase by the window so she could enjoy them. Another began to cry when she realized the rose was for her. Still another thought they were for sale and began searching for her purse until we could explain the rose was gift. All of the people were pleased to have visitors and we found that we had very much enjoyed talking with everyone. The patents had become “real” to us. They were people too. 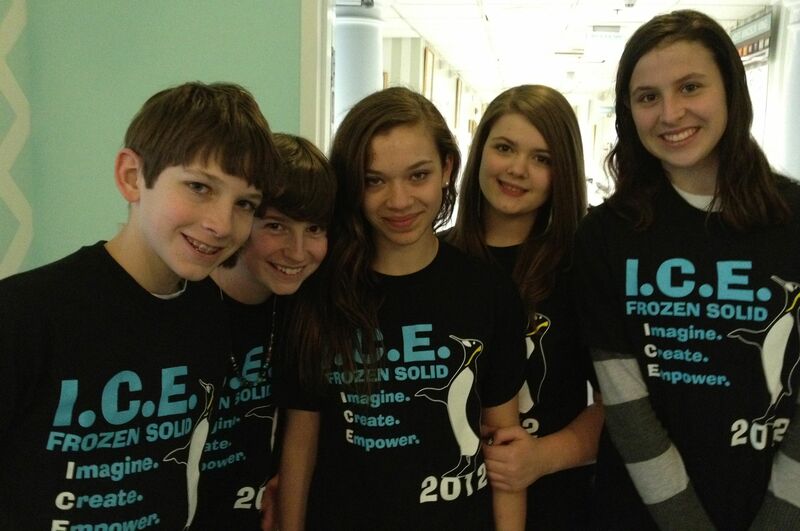 Team I.C.E. (Imagine, Create, Empower) was humbled. They were no longer embarrassed. 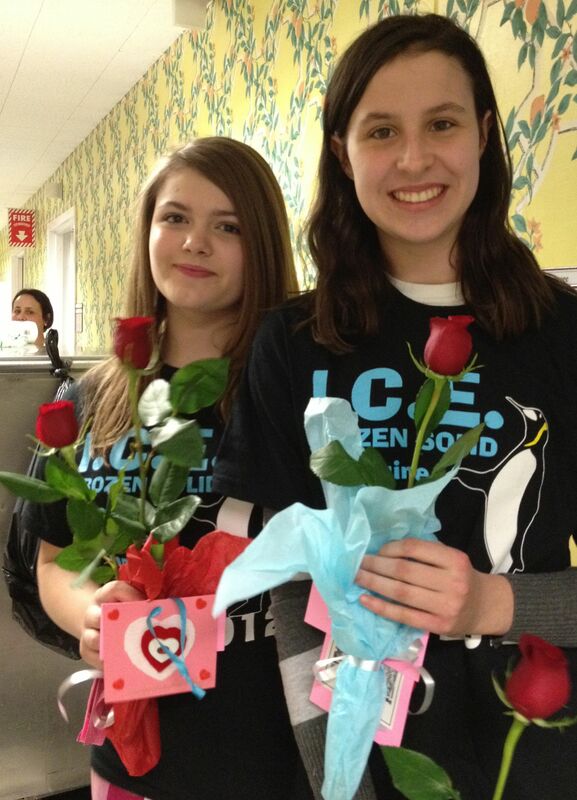 They really connected with the needs of the patients and felt that they had been able to bring joy through the gift of a simple rose and a moment of shared kindness. Now they are planning their next visit: daffodils for Easter. Is St Valentine real? Absolutely, every bit as real as the Easter bunny. We could have visited the nursing home at any time, but we didn’t. We went to honor the holiday of love. We were sent by St. Valentine, whomever that may be. And we are grateful. Next we look forward to helping out the Easter bunny on his mysterious missions. Let Me Count the Days: Homeschooling is learning that sharing love with those less fortunate is a gift we can give ourselves. What a great report! Did you know William Faulkner wrote a short story titled “A Rose for Emily”? I did not know that but I love William Faulkner and will look up this story immediately. Thank you so much for letting me know! What a great opportunity for your young adults! My church youth group used to go caroling at the local nursing home at Christmas. We felt the same nervous trepidation as your kids, but found it very rewarding and fun. I’ve very much enjoyed checking in here since your library was featured on Freshly Pressed. I was home schooled with my brothers from 1st Grade through high school graduation. We’re all grown now, done with college, and with jobs, homes, and spouses of our own, but we love the memories of our education at home! I am so glad you understand their trepidation. It was a struggle to get them to the nursing home. I felt relieved and rewarded by how genuinely happy the kids ultimately were to bring joy to others. It’s hard to imagine life after homeschooling, it is so all consuming at the moment. I am glad you all look back on your experience with happy memories. As you know, there is so much action, and sometimes inaction, that the future seems to belong to a far distant land. Thanks for writing.